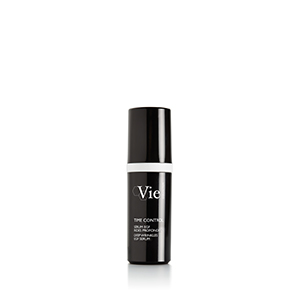 TIME CONTROL visibly reverses signs of skin slackening: deep wrinkles, loss of elasticity, lack of density and sagging of the face. 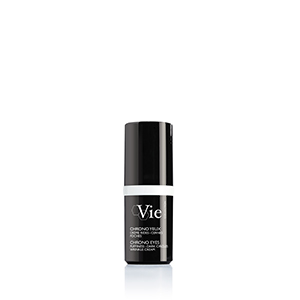 This firming cream reduces the appearance of deep wrinkles and reshapes facial contours. In 1 month*, skin is smoothed, visibly firmed and toned. *Satisfaction test on 22 women, twice-daily use. Results: Wrinkles are filled, the skin is smoother and regenerated. *In vitro test on the ingredient. Results: The skin regains its elasticity, it is redensified and firmed. Results: The skin is revitalized, strengthened and recharged with energy. SCIENTIFICALLY MEASURED Reduction of up to -18%*. *Measurement of the smoothing and anti-wrinkle effect. Instrumental test on 21 volunteers, after twice daily use. Average value obtained on 13 out of 21 volunteers. Overall result -7%. 3D illustrations and macrophotography of one of the best results. NOTED VISUALLY Skin is smoothed with reduced wrinkles for more than 7 out of 10 women*. *Satisfaction test on 22 women, twice-daily application for 28 days. SCIENTIFICALLY MEASURED Reduction in volume of ptosis by up to - 28%*. *Measurement of lifting and reshaping effect. Instrumental test on 23 volunteers after twice daily use. Effect measured in 87% of volunteers. Illustration of one of the best results. A rich and creamy cream, enriched with moisturizing and nourishing ingredients, to reduce the feelings of discomfort of thin and mature skin. A subtle and feminine fragrance with flowery and slightly musky notes, softened by the freshness of tea. List of ingredients subject to variation. We advise you to always check the ingredient list on the packaging of the product purchased to ensure that the ingredients are appropriate for your personal use. AQUA (WATER) / EAU, GLYCERIN, CAPRYLIC/CAPRIC TRIGLYCERIDE, OLUS (VEGETABLE) OIL / HUILE VEGETALE, OCTYLDODECANOL, METHYLSILANOL HYDROXYPROLINE ASPARTATE, CETYL ALCOHOL, BUTYROSPERMUM PARKII (SHEA) BUTTER, DIMETHICONE, ISONONYL ISONONANOATE, PENTAERYTHRITYL TETRAISOSTEARATE, GLYCERYL STEARATE, C10-18 TRIGLYCERIDES, HYDROGENATED COCO-GLYCERIDES, DIPROPYLENE GLYCOL, PHENOXYETHANOL, PEG-75 STEARATE, SODIUM POLYACRYLATE, POLYMETHYL METHACRYLATE, MALTODEXTRIN, CARBOMER, CETETH-20, PARFUM (FRAGRANCE), STEARETH-20, XANTHAN GUM, SODIUM PCA, CAPRYLYL GLYCOL, SODIUM HYDROXIDE, LAMINARIA DIGITATA EXTRACT, TOCOPHEROL, CHLORHEXIDINE DIGLUCONATE, MAGNESIUM PCA, CRITHMUM MARITIMUM EXTRACT, CHLORELLA VULGARIS EXTRACT, ZINC PCA, MENYANTHES TRIFOLIATA LEAF EXTRACT, SALICYLIC ACID, POTASSIUM SORBATE, HELIANTHUS ANNUUS (SUNFLOWER) SEED OIL, MANGANESE PCA, DISODIUM EDTA, GLYCINE SOJA (SOYBEAN) OIL, LACTIC ACID/GLYCOLIC ACID COPOLYMER, SODIUM OLEATE, POLYVINYL ALCOHOL, HYDROGENATED LECITHIN, DEXTRAN, GOLD, ACETYL HYDROXYPROLINE, ARGININE/LYSINE POLYPEPTIDE, SH-OLIGOPEPTIDE-1.